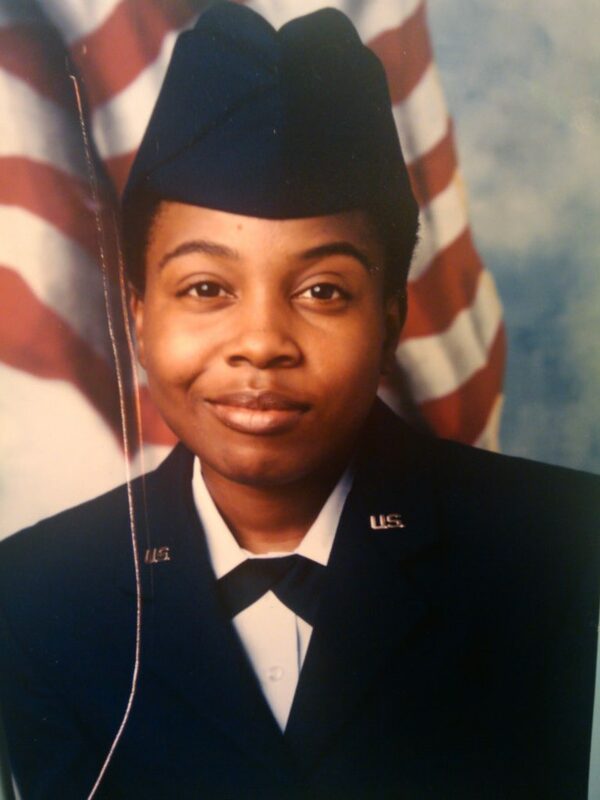 When Air Force veteran Toni Topps came home from her deployment in Saudi Arabia in 2002, she was placed in a government-sponsored PTSD support program at her local V.A. hospital. 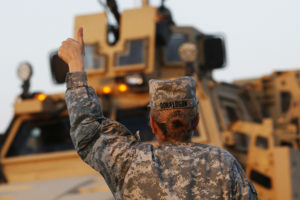 She was the only woman in her group — and a survivor of sexual assault and harassment during her time in military. Topps began writing poetry after attending an open mic in 2002 following her return from deployment. She was struck by the idea of telling stories without anyone in the audience knowing whether it was based on fact or fantasy. The anonymity appealed to her. Despite her discovery, Topps struggled for years with her transition to civilian life, mental health crises and domestic abuse. In 2014, Topps came across Warrior Writers, a veterans’ nonprofit that fosters healing through artistic expression and storytelling. She eventually became a workshop facilitator. clutching fist and gritting teeth. 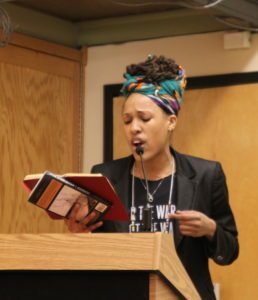 Chantelle Bateman, a poet and Marine Corps veteran who is also a facilitator at Warrior Writers, went through her own poetic catharsis. Her first Warrior Writers workshop was the first time she reinterpreted her experiences through an artistic lens. For Topps, Warrior Writers is a way to get stories like hers heard. Read Topps’ and Bateman’s poems below. Like my mother checking on me, again.